I never win anything, so when Adele from Un:Bound announced that I’d won their Zombie prize I was rather surprised, to say the least. I also didn’t realise at the time just how cool the prize was. So when I fetched the parcel from the post office this morning, I wasn’t entirely sure what to expect. 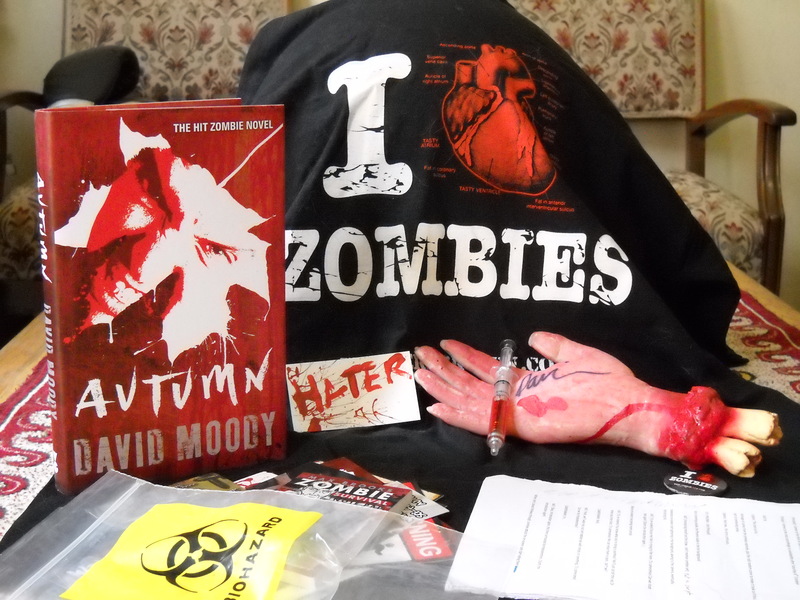 I tore open the envelope and found some seriously awesome swag, which included a cool T-shirt, a copy of David Moody‘s Autumn, the script from the Un:Bound Video Editions – Zombies, a zombie hand (so cool), a syringe pen, plus a whole lot of other very interesting assorted goodies. And no, I’m not sharing. It’s ALL mine!